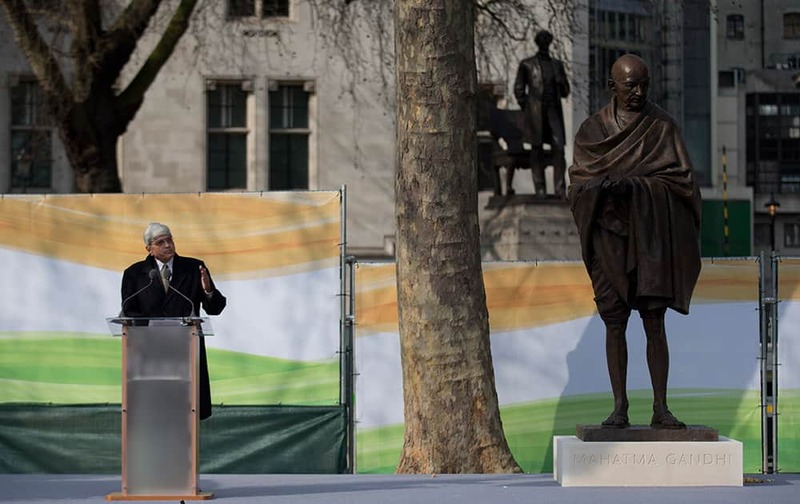 Gandhi's grandson Gopalkrishna Gandhi makes a speech next to a new statue of Mahatma Gandhi by British sculptor Philip Jackson after it was unveiled in Parliament Square, London. 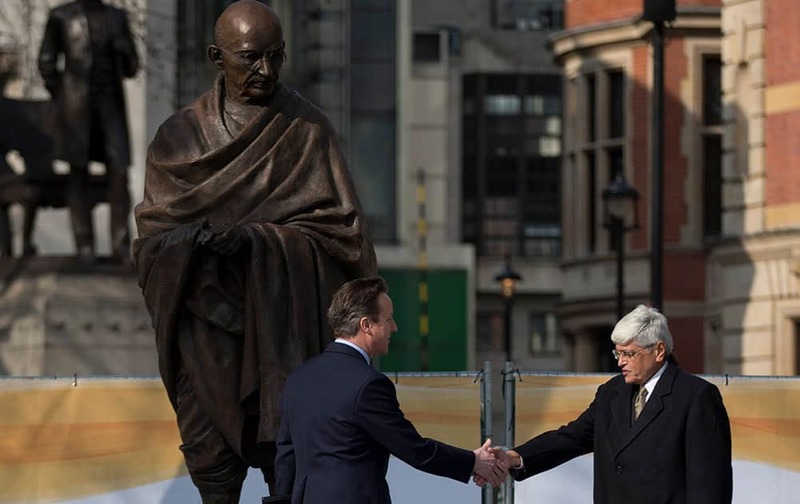 British Prime Minister David Cameron and Gandhi's grandson Gopalkrishna Gandhi shake hands beneath a new statue of Mahatma Gandhi by British sculptor Philip Jackson, after it was unveiled in Parliament Square, London. 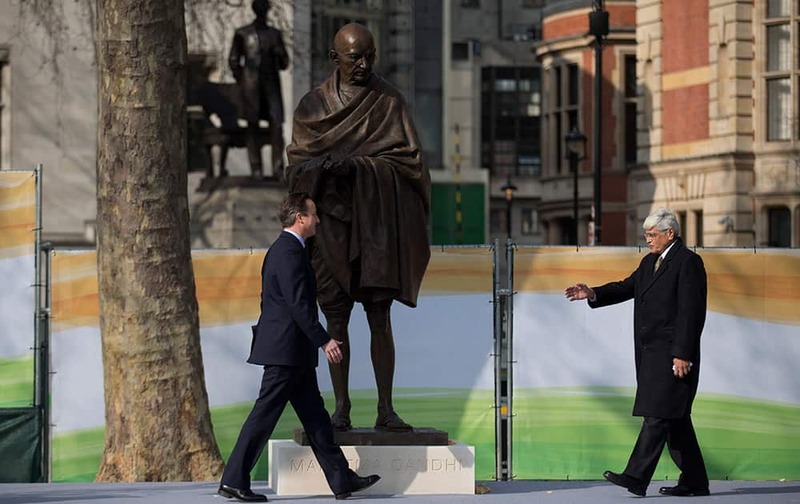 British Prime Minister David Cameron and Gandhi's grandson Gopalkrishna Gandhi walk to shake hands beneath a new statue of Mahatma Gandhi by British sculptor Philip Jackson after it was unveiled in Parliament Square, London. 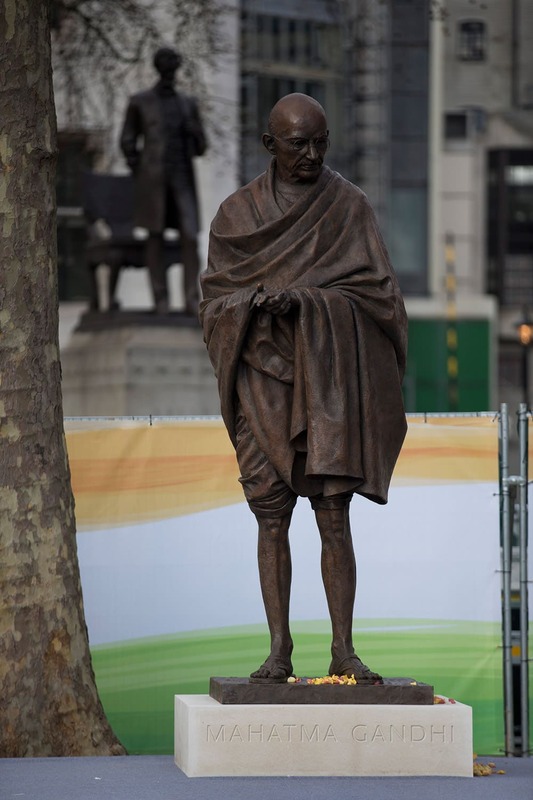 A new statue of Mahatma Gandhi by British sculptor Philip Jackson stands on display after it was unveiled in Parliament Square, London. 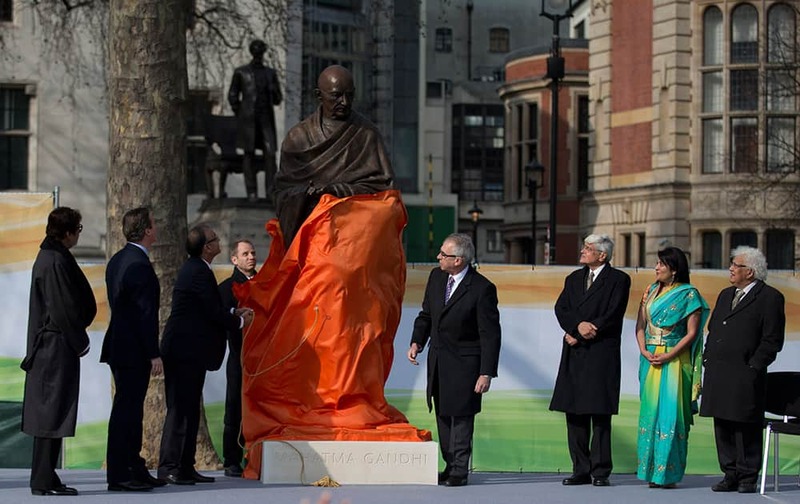 The bronze sculpture stands 9ft-high (2.75m) and will provide a focal point for commemorations of the 70th anniversary of Gandhi's death in 2018. 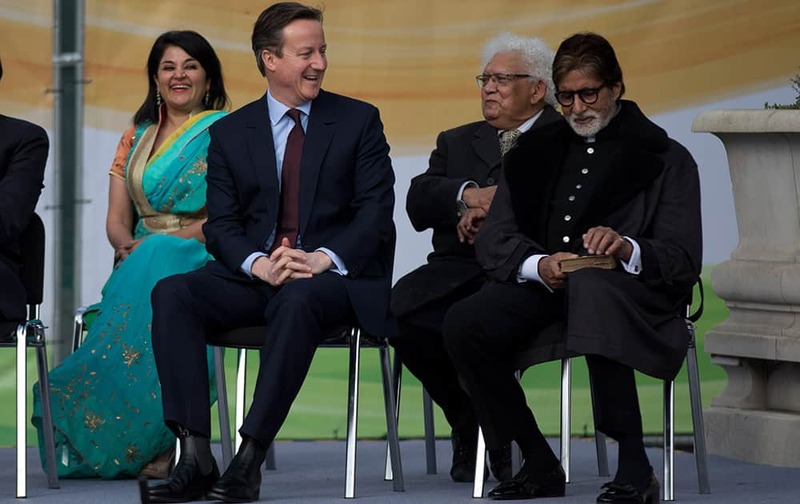 British Prime Minister David Cameron sits on the stage next to Bollywood actor Amitabh Bachchan during the unveiling ceremony for a new statue of Mahatma Gandhi by British sculptor Philip Jackson in Parliament Square, London. 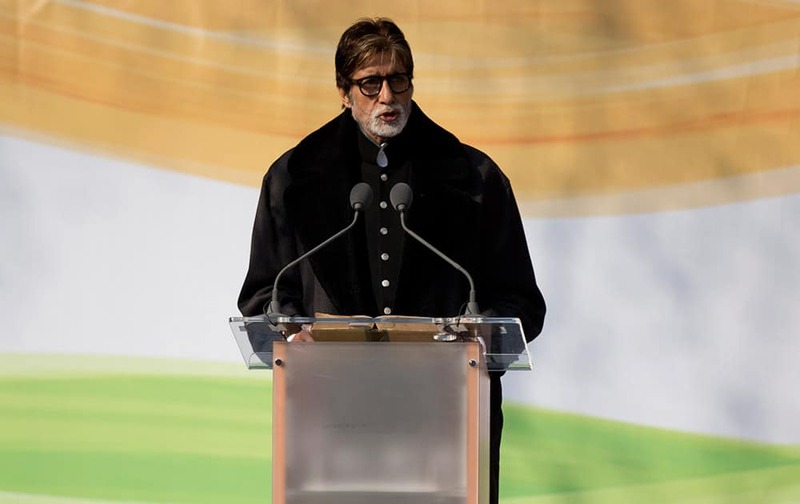 Amitabh Bachchan makes a speech during the unveiling ceremony of a new statue of Mahatma Gandhi by British sculptor Philip Jackson in Parliament Square, London. 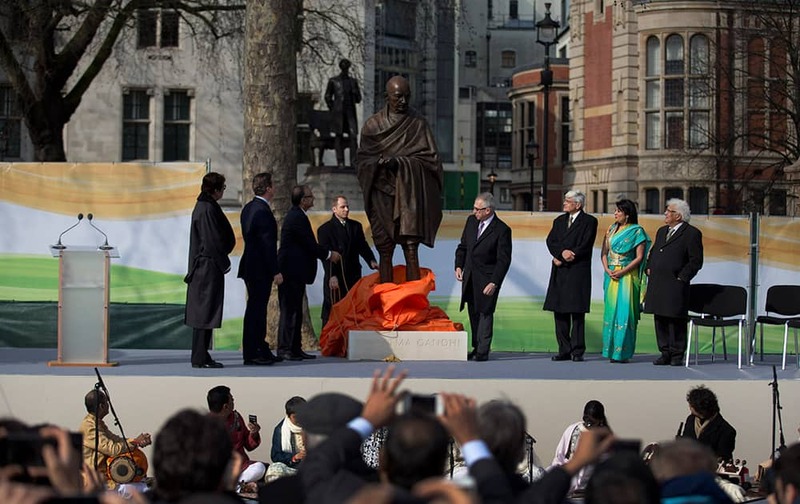 A new statue of Mahatma Gandhi by British sculptor Philip Jackson is unveiled by India's Finance Minister Arun Jaitley, watched by, Amitabh Bachchan, British Prime Minister David Cameron and Gandhi's grandson Gopalkrishna Gandhi, in Parliament Square, London. 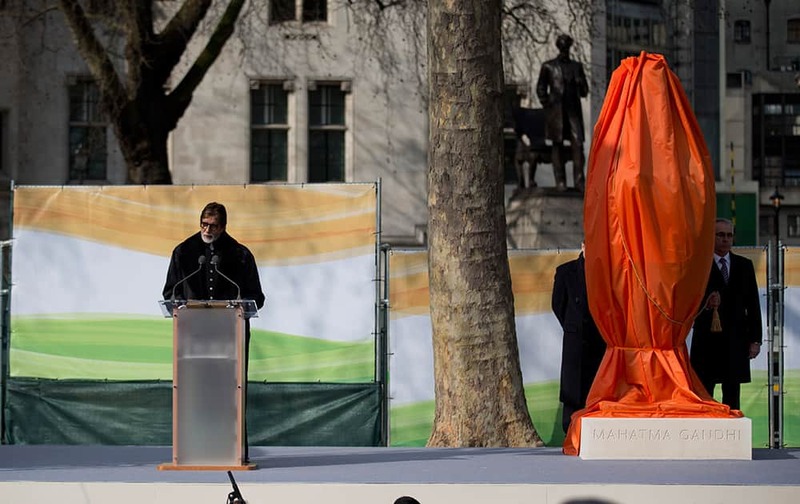 Amitabh Bachchan makes a speech next to a new statue of Mahatma Gandhi by British sculptor Philip Jackson before it was unveiled in Parliament Square, London.